The acquisition of the remaining stake in a powder coatings manufacturer in Egypt means Dutch paints and coatings company AkzoNobel is expanding further, and more quickly, in the North Africa Region. The Amsterdam-based company announced on July 26 that it was taking its ownership of Akzo Nobel Powder Coatings SAE from 60 to 100 percent. As well as operating a high-tech powder coatings plant in Cairo, Akzo Nobel Powder Coatings SAE also has a 90 percent stake in the trading firm Akzo Nobel Powder Coatings Trading SAE, the company said. AkzoNobel has raised its stake in Akzo Nobel Powder Coatings SAE in Egypt from 60 percent to 100 percent, strengthening its presence in Egypt and the wider North Africa region, it said. "This is an important step in our strategy to enhance our presence in the region," said Conrad Keijzer, the company’s executive committee member responsible for Performance Coatings. “We are now taking our operations in Egypt and North Africa to the next level and consolidating our credentials as a leader in the powder coating sector." Akzo Nobel Powder Coatings SAE manufactures and markets powder coatings. Formerly known as Coatech For Chemical Industries SAE, the company was founded in 1992, according to a Bloomberg profile. The name changed to Akzo Nobel Powder Coatings SAE after it began to operate as a subsidiary of Akzo Nobel NV in October 2005. Powder coatings are widely used in the buildings and infrastructure sector, as well as for pipelines in the oil and gas industry. The company’s powder products can be found on Dubai Metro stations and at Smart Village in Egypt, it said. The global powder coatings market is expected to grow at a compound annual growth rate (CAGR) of 6.8 percent from 2016 to 2020, to over $11 billion in value, the company noted. Both volume and revenues are projected to grow, led by robust demand from the packaging, automotive, consumer goods, general industry, architectural and other sectors. The Middle East & Africa (MEA) region continues to be a strong market for the industry, it added. 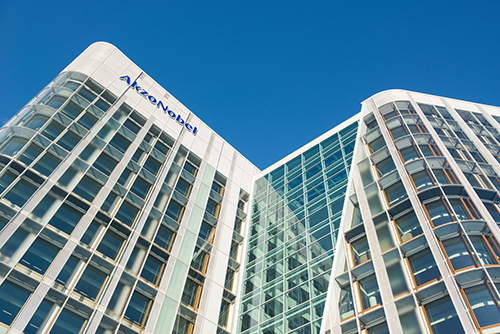 The acquisition is the next step in AkzoNobel’s mission to strengthen its footprint across the Middle East and North Africa region. It recently announced new joint ventures in the United Arab Emirates, Qatar and Oman, and is recording double-digit growth in the region. The company also opened a new powder coatings plant to add to the $10 million facility opened in Dubai in 2014, it said. "The full acquisition of Akzo Nobel Powder Coatings SAE will enable us to further strengthen our service levels and meet the growing demands of our customers,” said Peter Tomlinson, managing director of AkzoNobel Middle East & Performance Coatings Africa. “The advanced manufacturing plant will also add value to our operations, ensuring that we deliver cutting-edge and high quality solutions for our customers."